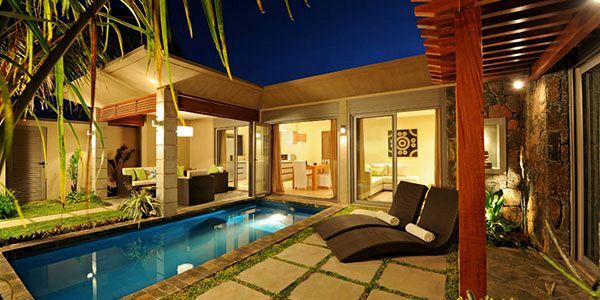 Athena villas is known as a luxurious villa property for couples, family and friends looking for a perfect holiday in Mauritius, staying in their own luxury private villa with pool. 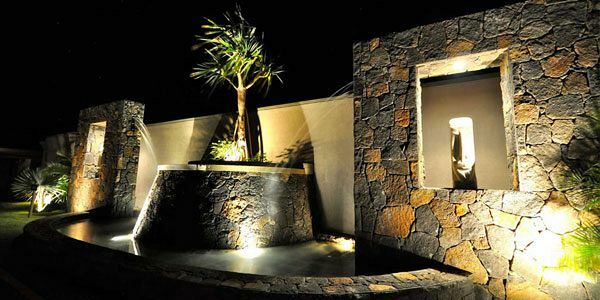 Enjoy the privilege of staying in private Luxury villas in Mauritius: more space, privacy, home comforts, private swimming pool and personalized service. Each holiday villa is a peaceful haven which invites visitors to enjoy outside living. Each room enjoys a wonderful view on the flowered garden. A warm and integrated architecture adds up to the overall harmony of the site and contributes to the attraction of spending your holiday in such a unique villas resort. With its one bedroom villas to the spacious family friendly four bedrooms villas, this luxurious property is perfect for couples, families and friends holidays. Each villa provides a private swimming pool and a lush tropical garden. Regarding the interior furnishings, the kitchens are very large and are equipped with modern amenities. The tropical style decoration is elegant and refined. It combines high quality natural materials to create a very elegant and welcoming atmosphere. The Athena villas are two- or three-bedroom villas in which modern design and elegance are combined, with a garden and private swimming pool which can be heated on request. The units have occupancy for 2 to 8 persons within a net villa surface area which varies from 120 to 140m². Each villa provides its own well equipped kitchen, and all the necessary amenities, a living room, a dining area, terrace with a dining table and barbecue, and bathroom with bathtub and shower. 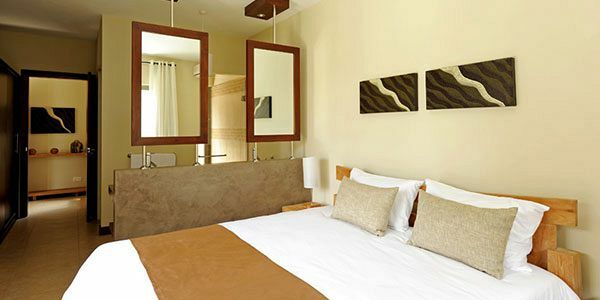 The rooms are set with either one double bed or two simple beds. 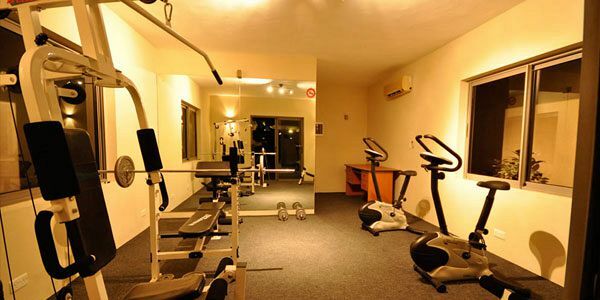 All the villas are very well equipped and benefit from the services of the residence including, among other amenities, a gym. 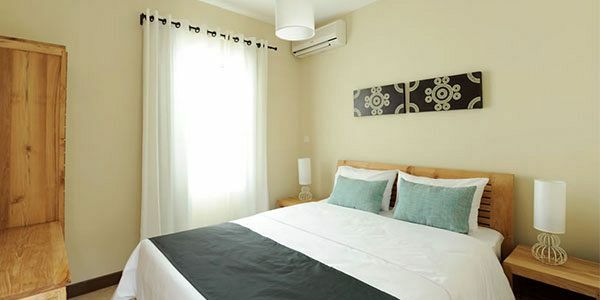 There is also a telephone and WI-Fi Internet Connection or 3G USB Key depending on the villa, a safe and alarm, dishwasher, washing machine, hair - dryer and towels, cot and highchair and barbecue. 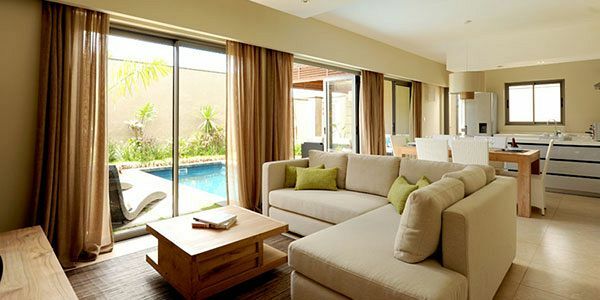 Athena Villas provides spacious holiday accommodation with free internet access and stylish, tropical-style design and natural materials, all for you to have a truly luxury holiday in Mauritius. Each of the air-conditioned villas has a Flat screen TV. 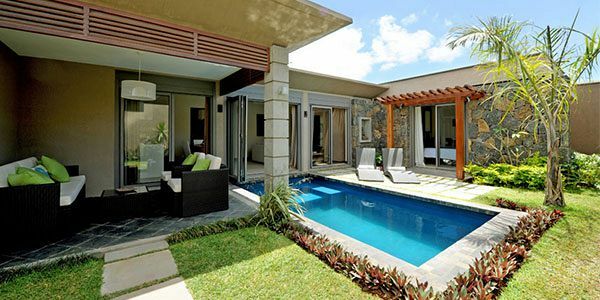 Athena Villas guests will enjoy the privilege of staying in a private luxury villas in Mauritius, benefiting from a more spacious accommodation comparing to any hotel or apartment, full privacy, highest level of comfort, private swimming pool and personalized service. Each holiday villa is a peaceful haven which invites visitors to enjoy outside living. During your stay you would start the day with a continental breakfast, served by a house maid that likewise takes care of the villa and clothes and all your needs. Each room in the villas is designed with many openings on to small interior gardens. The private pool is ideal for some relaxation during the day, and during the night. The deck chairs are an open invite to leisure and meditation. 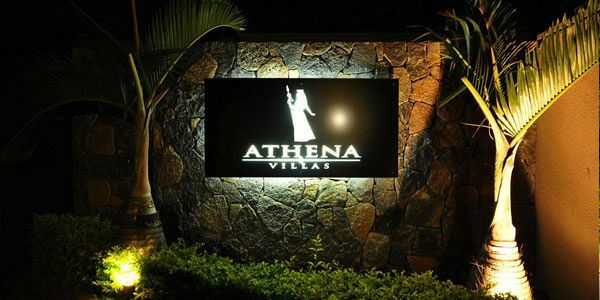 Athena Villa is situated near the centre of Grand Bay, in the extreme north of Mauritius, with its many shops, trendy restaurants and bars.Athena villas offer luxurious villas opening on to a private garden and the villas are very well equipped and benefit from the services of the residence including, among other amenities, a gym. The region of the north of Mauritius is famous for its sunny and stable weather, its beautiful beaches and historical background. Athena Villas is situated near the centre of Grand Bay, where numerous leisure facilities can be found, including water sports, diving, catamaran cruises, deep sea fishing trips and many more. There are many beautiful unspoiled beaches at Grand Bay and the surrounding area, and as Grand Bay is protected by a coral reef, the sea is very calm. Grand Bay is also well known for its colorful streets, fantastic shopping, outstanding restaurants and relentless nightlife. 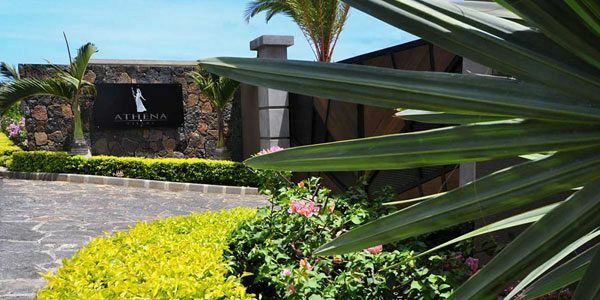 Athena Villas are situated ideally close to the centre of Grand Bair offering quick access to all the many facilities at the north of Mauritius. The airport can be reached by a leisurely 1h15 hours drive, Port Louis in 30 minutes. 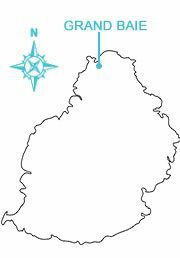 Pamplemousses Botanical Gardens as well as the Sugar Museum L'Aventure du Sucre" can be reached in less than 20 minutes by car. Although not situated directly on the beach, we offer shuttle service several times per day for those looking for a more unique beach experience, there is a private beach club dedicated solely for the Athena Villas guests! Grand Baie beach is by far the most sought after beach Mauritius. It owes its popularity with discerning regular visitors mainly owing to its safe bathing for children, perfect conditions for snorkelling (either in its lagoon or along its reefs), and its fine silver sand. The beach of Grand Baie has a gentle slope, and is consequently particularly suitable for children and non-swimmers as well. The reef in front of the beach ensures that the water is calm. The beach of Grand Baie is well-suited for long beach walks, and offers romantic sunsets! A comfortable bus shuttle, links the villas - centre of Grand Bay and the beach several times a day (offered for a small minimal supplement). Small pavilions, deckchairs, beachfront massages and water sports are available exclusively to the Athena Villas guests to use. Access to the beach is free and exclusive to the clients. A privilege card granting access to the beach is provided to all Athena Villas guests upon arrival. The card has to be presented at the entrance of the beach club. All the Athena villas are identical in their architecture, configuration and design, with similar luxurious furnishings. The villas, each with their own private pool, are all sheltered from public view. The pool is private and only accessible by tenants of the said house during their stay. The other tenants do not have access or visibility of your villa or pool, guaranteeing your maximum privacy during your stay. Each villa has at least one master bedroom with dressing room and with its double bed or two simple beds and private luxury bathroom with shower and access to private garden. Other villa feature include a private garden and private swimming pool illuminated at night, refined living and dining room, fully equipped designer kitchen, Flat TV LCD, satellite channel , Wi-Fi Internet Connection or 3G USB Key depending on the villa, maid 7/7 days. 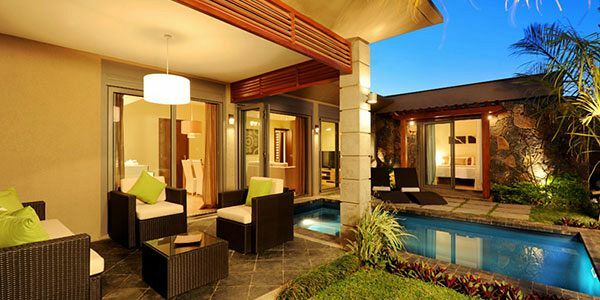 The one bedroom villas are suitable for couples and honeymooners. Renting a private villa with a pool for your holiday means that there are no jostling for position and trying to drown out the noisy conversations of other holidaymakers; just you and your partner. For honeymoon in Mauritius, what could be better than having a leisurely day in the sunshine, sitting by the edge of your own private pool. Supremely elegant private villa of one bedroom with with its double bed. The master bedroom with its private bathroom with shower. Private garden and private swimming pool lit up at night, refined living and dining room, fully equipped designer kitchen, Flat TV LCD, satellite channel, internet, maid 7/7 days. Welcoming drink, flower, water and fruits are provided on arrival. Extra Meal on arrival included in the rate. This can be either lunch or dinner to be provided in your villa as per your preferences and arrival time. Maid service included in the rate. The maid comes 6 days a week and will be in charge of housekeeping, cleaning, laundry, ironing. Enjoy the privilege of staying in a private Luxury villa in Mauritius: more space, privacy, home comforts, private swimming pool and garden and personalized service. The Athena Type 2 villa is a wonderful villa with two bedrooms and two en-suite bathrooms. This villa is Ideal for 4 adults or a family of two adults and two children. Extremely elegant private villa of two bedrooms, the master bedroom with its double bed and with its comfortable bathroom with shower. 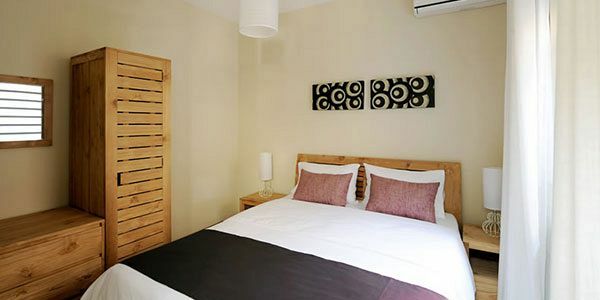 The second bedroom with 1 double bed or 2 single bed with its separated bathroom with shower and toilet. Private garden and private swimming pool lit up at night, refined living and dining room, fully equipped designer kitchen, Flat TV LCD, satellite channel, Wi-Fi Internet Connection or 3G USB Key depending on the villa, maid 7/7 days. AthenaVilla Type 3 is a private Luxury three bedrooms villa, ideal for 3 couples or for families with more than 2 children. The villa offers maximum luxury and comfort, having your own 130m2 surface villa, with a big pool and garden. The three bedrooms villa have the master bedroom with its double bed and private bathroom with shower and a two bedrooms with one double bed or two simple beds, depending of the villa, and its bathroom with shower. Other villa feature include the private garden and private swimming pool which can be lit up beautifully at night, refined living and dining room, fully equipped designer kitchen, Flat TV LCD, satellite channel , Wi-Fi Internet Connection or 3G USB Key depending on the villa, maid 7/7 days. 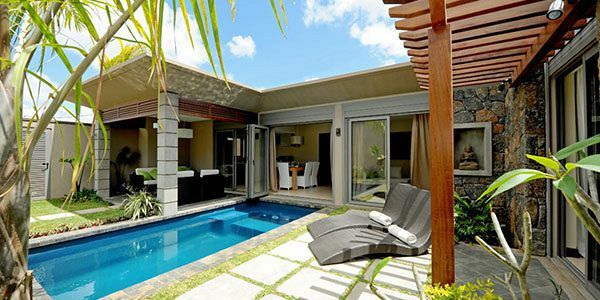 All bedrooms are air conditioned, and offer the highest standard of living available in Mauritius. The Athena Type 4 villa is a remarkable villa with four bedrooms with air- conditioned. This is the most spacious villa of all the Athena Villas and is ideal for groups of up to 8 people or for big families, looking for having their own top luxury villa accommodation for their holiday in Mauritius. The villa offers maximum luxury and comfort, having your own 140m2 surface villa, with a big pool and garden. 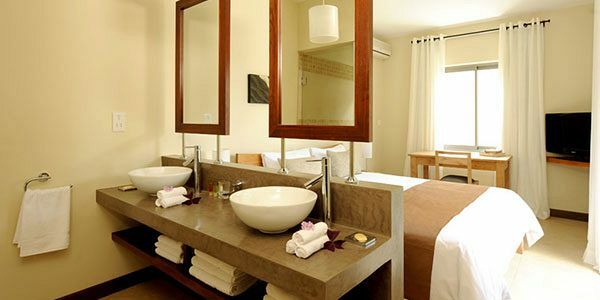 The Villa consist of a master bedroom with its double bed and private bathroom with shower and three other bedrooms (two with one double bed and one with two single beds) and its bathroom with shower. Private garden and private swimming pool lit up at night, refined living and dining room, fully equipped designer kitchen, Flat TV LCD, Wi-Fi Internet Connection or 3G USB Key depending on the villa. On the day of your arrival, the local hostess who is there to cater for any request you might have, will greet you in your villa with a welcome cocktail and refreshing napkins. She will take you round the villa, giving you all the necessary information about how everything works and she will give you her telephone number. She will be available to assist you at any time during your stay. Quickly after the first introduction to your villa, you will be served with welcome cocktail and refreshing napkins. Then after, and depending on your arrival time, you would be served a welcome Mauritian typical meal served at the Restaurant of Domaine des Alizées and some tropical fruits. A beautiful private beach is exclusively reserved for the use of the clients of Athena Villas. On arrival, our hostess will give you an access pass which will be valid for the duration of your stay. 'La Plage' is the private beach in Grand Baie exclusively to our villa clients. A comfortable bus shuttle, links the villas - centre of Grand Bay and the beach several times a day. Superb arrangement of flowers and also a bottle of sparkling wine and some confectionery are offered to honeymoon couples. A marriage certificate dated not more than nine months before must be produced. Continental breakfast is included in the villa price. Each morning, between 9.00 and 9.30, a housemaid will bring you a basket of pastries, with accompanying tea, coffee, fruit juice, bread, butter and jam. If you also wish to have eggs, bacon, sausages, etc. with your breakfast, you may place an order (a la carte) or buy your own groceries, and the housemaid will be delighted to prepare it all for you. What could be more relaxing than to forget about housework...Every day, 7 days a week, one of the charming housemaids will take care of all the housework, laundry or ironing (for 3 to 5 hours according to the type of villa or apartment). Upon request, it is also possible to have the housemaid preparing your meals for an extra charge of Euro 20 per day. The team of Athena Villas Housekeepers will take care of your welfare and will be at your service 6 days out of 7 from 8.30 to 17.00. They have the know-how and experience required for high class hotels. They are responsible for watching over the comfort and maintenance of the villas, and will be your dedicated contacts concerning your accommodation. The qualified maintenance team is there for the ongoing maintenance of the villas. They are at your service if necessary during your entire stay. Enjoy a chef's expertise at your table. You select your menu, the Chef prepares the most exquisite dishes in your villa and serves them at table. A shopping list featuring the most usual consumer products is available for a delivery service at villa. Order your meal and it will be delivered to your villa. You will find a menu in your villa with a choice of dishes, flavors etc such as : Sushi-sashimi-maki, gratin of palm heart, chicken curry with coconut milk... from starter to dessert you will find something special to please you. You enjoy a massage at the Domaine des Alizées situated at Grand Baie.You may book one of our professional massage specialists. Several kinds of massages are available. The relaxing 60-minute massage or, again, the sports massage lasting 1 h45. We recommend that you book 24 hours ahead. If you look for a babysitter to keep your child for a few hours during the day or evening, we offer the service with flexible packages to your request.